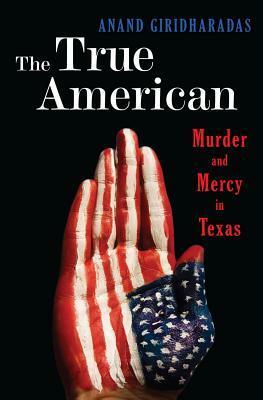 Days after 9/11, Mark Stroman, an avowed “American terrorist,” shot three South Asian immigrants in Dallas. The lone survivor of the three, Raisuddin Bhuiyan, a former officer in the Bangladesh Air Force, who had migrated to the United States with the dream of making a career in technology, lost the sight in his right eye, fell into debt as a result of his medical expenses, and was abandoned by his fiancée. A decade later, inspired by his hajj, the pilgrimage to Mecca, Bhuiyan decided to forgive Stroman, in the name of Islam, and joined the campaign to spare his would-be murderer from death row. The True American is a remarkable true story which traces the making of these two men, their fateful encounter, and their journeys to find peace. Written with a journalist's eye for observation and attention to fact, it embodies a compassion which immerses the reader in the lives of its protagonists, while keenly exploring the American Dream in its many complex dimensions. It encompasses an exploration of both American xenophobia and the nation's dependence on immigrants, the encounter of Islam and the West, and it is ultimately a story of how undefined or whether undefined we choose what we become. Anand Giridharadas will be in conversation with Jack Tchen, New York University. The program will be followed by a book sale and signing. Anand Giridharadas is a columnist for The New York Times and author of India Calling: An Intimate Portrait of a Nation's Remaking, an account of returning to the India his parents had left when they immigrated to the United States. Born and educated in the U.S., Giridharadas returned to India to work as a consultant for McKinsey & Company, where he served on projects advising a state government on urban development, a pharmaceutical company on organizational redesign, and Indian and Chinese businesses on overseas expansion. Since becoming a journalist in 2005, he has written for various sections of the New York Times and from 2005 to 2009 he reported on India, from Mumbai for the New York Times and the International Herald Tribune. He is now currently based in Brooklyn. Jack (John Kuo Wei) Tchen, is a facilitator, teacher, historian, and curator. An associate professor at New York University, he is founding director of Asian/Pacific/American Studies Program and Institute at New York University and co-founder of the Department of Social and Cultural Analysis. He is also co-founder and senior historian at the Museum of Chinese in America. Tchen is the co-editor of the recently published Yellow Peril! : An Archive of Anti-Asian Fear, a comprehensive repository of anti-Asian images and writings. He is also the author of the award-winning books New York Before Chinatown: Orientalism and the Shaping of American Culture, 1776-1882 and Genthe's Photographs of San Francisco's Old Chinatown, 1895-1905. Awards include the Charles S. Frankel Prize from the National Endowment for the Humanities (renamed The National Medal of Humanities). Co-presented by the Asian/Pacific/American Institute at NYU. Buy tickets online: AsiaSociety.org/tickets. SAJA members are eligible for a members-only discount. Please email mrao@wnyc.org for the promo code. Can't make it to this program? Tune in to AsiaSociety.org/Live at 6:30 pm New York time for a free live video webcast. Viewers are encouraged to submit questions to moderator@asiasociety.org or tweet your questions to #AskAsia.